Sales of homes priced at $500,00 or above rose 32 per cent in Montreal in December, following a sharp rise in the month before, while lower-priced homes saw a decline in sales. 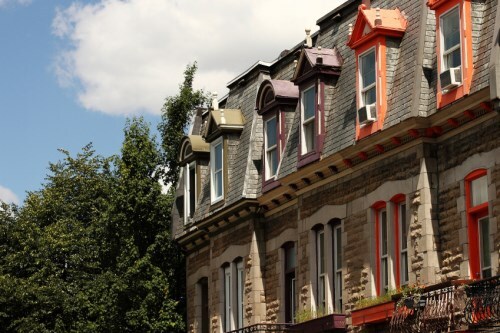 "There was a 10 per cent decrease in sales in the price range of $200,000 to $300,000, which is perhaps a first sign of the effects of the most recent mortgage tightening measures," said Daniel Dagenais, President of the Greater Montreal Real Estate Board. Overall sales for the month were up 3 per cent though year-over-year, the 22nd consecutive month of gains. It was also the best December sales total in 5 years. The median price of single-family homes and condominiums rose by 2 per cent compared to December of last year to reach $300,000 and $245,000, respectively, across the Montréal CMA.